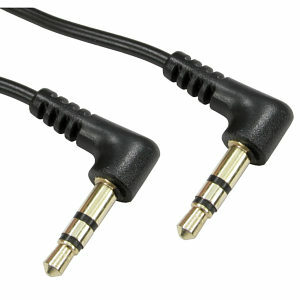 1.5m Angled 3.5mm Stereo Jack to Jack Audio Cable. Techlink 680149 10m Component Cable, with OFC Cable and Gold Plated Contacts. High-end performance at an unbelievable price. Double shielded non-migratory Oxygen Free Copper conductors throughout. Individual Al-Mylar Aluminium foil shielded signal cables for improved picture. Flexible PVC outer jacket to bend and fit into the tightest of spaces. Laser etched chrome plated metal connectors. 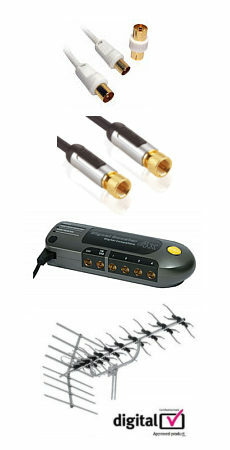 5m Scart Lead, Gold Plated with Metal Plugs. A high quality round cable 5m Scart Lead with metal bodied connectors and gold plated contacts. All 21 pins connected with individually screened OFC cable to provide the ultimate picture and sound quality. Ideal for interconnection of VCRs, satellite receivers, digi boxes & DVD players to televisions etc.